In The 1920s, A Community Conspired To Kill Native Americans For Their Oil Money The Osage tribe in Oklahoma became spectacularly wealthy in the early 1900s — and then members started turning up dead. David Grann's Killers of the Flower Moon describes the dark plot against them. Ernest and Mollie Burkhart married in 1917. Unbeknownst to Mollie, a member of the Osage tribe, the marriage was part of a larger plot to steal her family's oil wealth. Generations ago, the American Indian Osage tribe was compelled to move. Not for the first time, white settlers pushed them off their land in the 1800s. They made their new home in a rocky, infertile area in northeast Oklahoma in hopes that settlers would finally leave them alone. As it turned out, the land they had chosen was rich in oil, and in the early 20th century, members of the tribe became spectacularly wealthy. They bought cars and built mansions; they made so much oil money that the government began appointing white guardians to "help" them spend it. 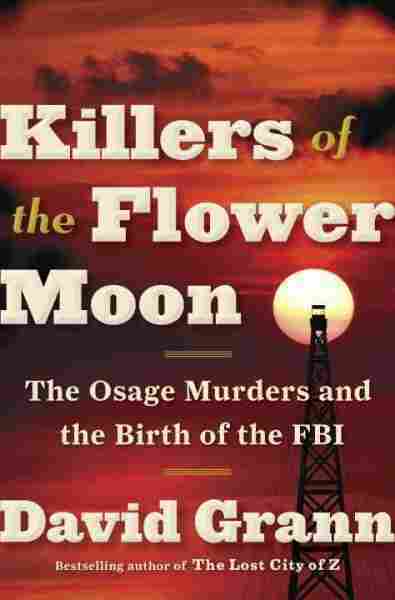 In his new book, Killers of the Flower Moon, David Grann describes how white people in the area conspired to kill Osage members in order steal their oil wealth, which could only be passed on through inheritance. "This was a culture of complicity," he says, "and it was allowed to go on for so long because so many people were part of the plot. You had lawmen, you had prosecutors, you had the reporters who wouldn't cover it. You had oilmen who wouldn't speak out. You had morticians who would cover up the murders when they buried the body. You had doctors who helped give poison to people." What makes these crimes so sinister is that it involved marrying into families. It involved a level of calculation and a level of betraying the very people you pretended to love. And the way these murders would take place is that people would marry into the families and then begin to kill each member of the family. ... That's exactly what happened to [Osage woman Mollie Burkhart]. She had married a white man, and his uncle was the most powerful settler in the area. He was known as the King of the Osage Hills ... and he had orchestrated a very sinister plot played out over years where he directed his nephew, who had married Mollie Burkhart, to marry her so that he could then begin to kill the family members one by one and siphon off all the wealth. One day in 1921, her older sister disappeared and Mollie looked everywhere for her and couldn't find her. And about a week later, her body was found essentially in a ravine, decomposed. She'd been shot in the back of the head. Then just a few weeks later, Mollie's mother began to grow increasingly sick. She seemed to be almost disappearing, withering in front of her. And within two months she, too, had died. And evidence later suggested that she had been secretly poisoned. Not long after that, Mollie was sleeping in her bed in her house with her white husband; they had a couple children. And she heard a loud explosion. She got up in panic and terror. ... She had another sister who lived not far away, and in the area where her sister's house was she could see almost this orange fire ball rising into the sky. It almost looked as if the sun had burst into the night. And her sister's house had been blown up killing that sister as well as her sister's husband and a servant who lived in that house. Mollie Burkhart (second from right) lost all three of her sisters under suspicious circumstances. Rita Smith (left) died in an explosion, Anna Brown (second from left) was shot in the head and Minnie Smith (right) died of what doctors referred to as a "peculiar wasting illness." Almost anyone who tried to investigate the killings — or at least stop them in the area — they, too, were killed. One attorney tried to gather evidence and one day he was thrown off a speeding train and all the evidence that he had gathered had disappeared. Another time, an oilman had traveled to Washington, D.C., to try to get help. ... He checked into a boarding house in Washington, D.C. ... He was then found the next day stripped naked. He had been stabbed more than 20 times; his head had been beaten in. The Washington Post at the time said what everyone at that point knew, which was there was a conspiracy to kill rich Indians. It's really important to understand back then that there was so much lawlessness. That was one of the things that shocked me when I began researching the story, that even in the 1920s much of America remained a country that was not fully rooted in its laws. Its legal institutions were very fragile; there was enormous corruption, particularly in this era and in this area. And the conspirators were able to pay off lawmen, they were able to pay off prosecutors. There was so much prejudice that these crimes were neglected. Finally, the Osage, in desperation, they issued a resolution, a tribal resolution, beseeching the federal authorities to help. And finally a then-very obscure branch of the Justice Department intervened. It was known as the Bureau of Investigation and it was what ... would later be renamed the FBI. J. Edgar Hoover ... was the new director, and it became one of the FBI's first major homicide cases that it ever dealt with. ... The bureau initially badly bungled the case. 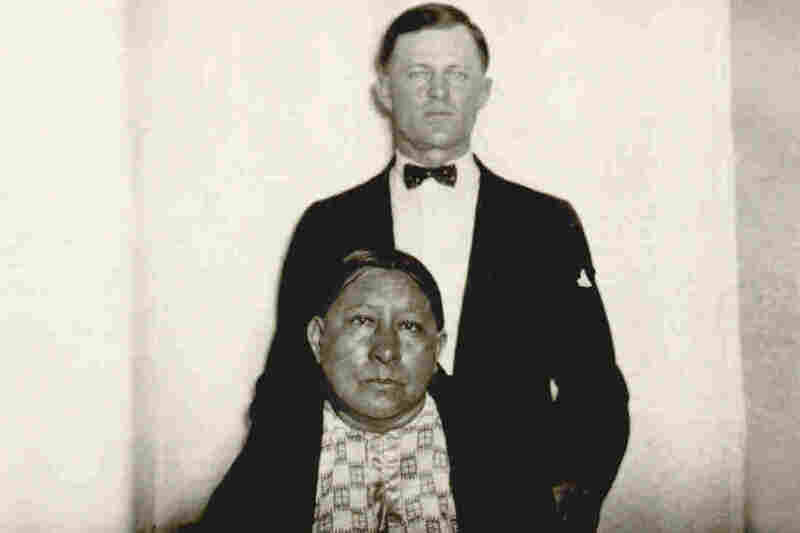 ... [Hoover] turned the case over to a frontier lawman at the time who finally put together an undercover team that included ... probably the only American Indian agent in the bureau at the time. They went undercover. ... They were able, through some dogged investigation and at great danger, to eventually capture some of the ringleaders. And those ringleaders included not only Mollie Burkhart's husband, it also included [his] uncle, a man who was seen as this great protector of the community. I pulled some of the guardian papers and there was this little booklet that came out. It had a little fabric cover. All it was was essentially identifying the name of a guardian and which Osage they were in charge of. And when I opened up the book, I could see the name of the guardian and when I began to look at the names of the Osage under them I could see written next to many of them simply the word "Dead. Dead. Dead." It was almost like a ledger; it was like this forensic, bureaucratic accounting. But when you're looking at it, you're beginning to realize you're looking at hints of a systematic murder campaign, because there's no way all these people died in a span of just a couple years. It defied any natural death rate. 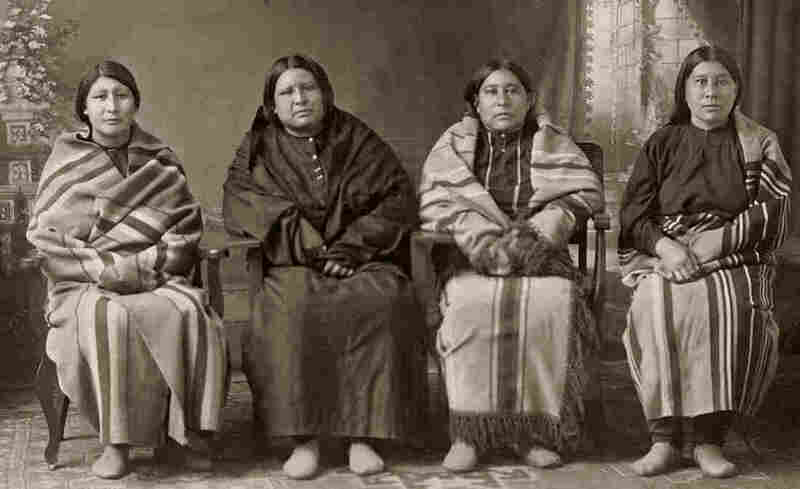 The Osage were wealthy, they had good doctors. ... And then when you begin to look into each of those individual cases, you start to find trails of evidence suggesting poisonings, a murder. You start to try to trace the money ... and where the wealth went. And what you begin to discover is something even more horrifying than the bureau ever exposed. Radio producer Taylor Haney, radio editor Shannon Rhoades and digital producer Nicole Cohen contributed to this story.